Michael John Dallwitz was born in Adelaide, South Australia on 20 May 1943. He obtained his BA with first class Honours in Pure Mathematics from the Australian National University in 1964. The title of his Thesis was: ‘The Completeness of Formal Theories’. In 1965, he completed a BSc (Hon 2A) in Physics from the Australian National University with a Thesis titled: ‘The Order-Disorder Transformation in Cu-Au’. He completed his PhD in Solid State Physics at the Australian National University in 1969 for his Thesis titled: ‘Correlation and Vacancy-Flow Effects in Binary Alloys’. As an undergraduate he received ANU Final Honours Year Scholarships in both 1964 and 1965 and from 1966 to 1968 his PhD research was supported by one of the prestigious General Motors-Holdens’ Postgraduate Research Fellowships. 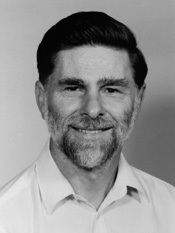 From 1969 to 1970 he was a Temporary Lecturer, Department of Physics, Australian National University, Canberra and joined CSIRO Entomology, Canberra as a Research Scientist, in 1970. During the last decade of his time at CSIRO he was a Visiting Fellow in the Molecular Evolution and Systematics Group, Research School of Biological Sciences, Australian National University from 1992 to 2000. He was the originator of the DELTA format for coding taxonomic descriptions. This is a flexible data format, capable of representing most types of information used by taxonomists for description, identification, and classification. The data format and the associated programs are in widespread use for taxonomic research and teaching. In 1988, the IUBS Commission for Plant Taxonomic Databases adopted the DELTA format as a standard for recording and exchanging descriptive taxonomic information. As summarised below, he travelled extensively to attend conferences, make working visits to collaborators, provide demonstrations and training workshops, and participate in projects such as the International Organisation for Plant Information (IOPI) and the International Working Group on Taxonomic Databases (TDWG). He left CSIRO in 2000 when the DELTA program was closed.